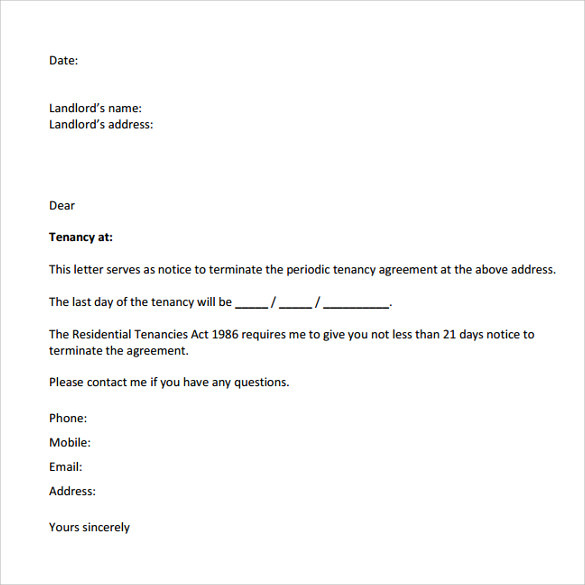 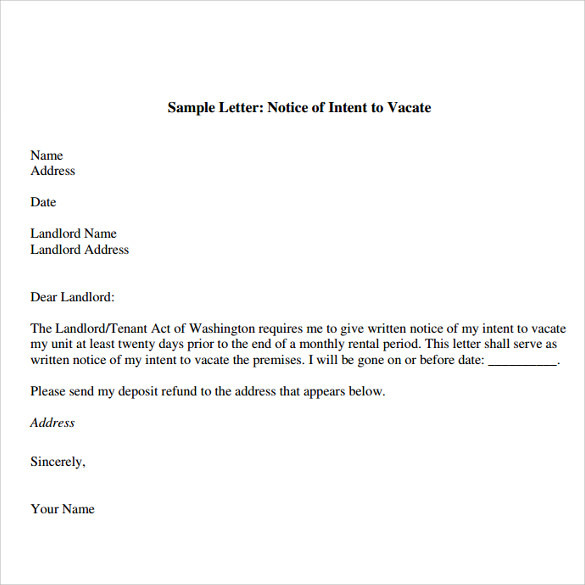 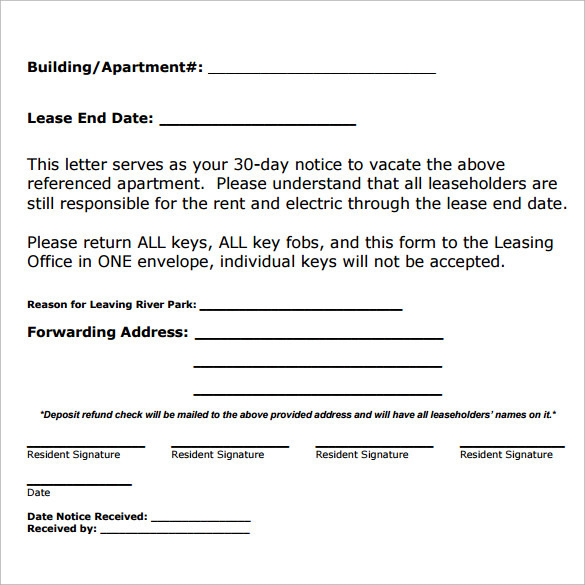 Whether you are going to move out from your rental home or you are a landlord who wants the tenant to vacate the place, a well-written Notice To Vacate Letter can help you in proper communication about this matter.We have lots of notice to vacate sample letters to help you here. 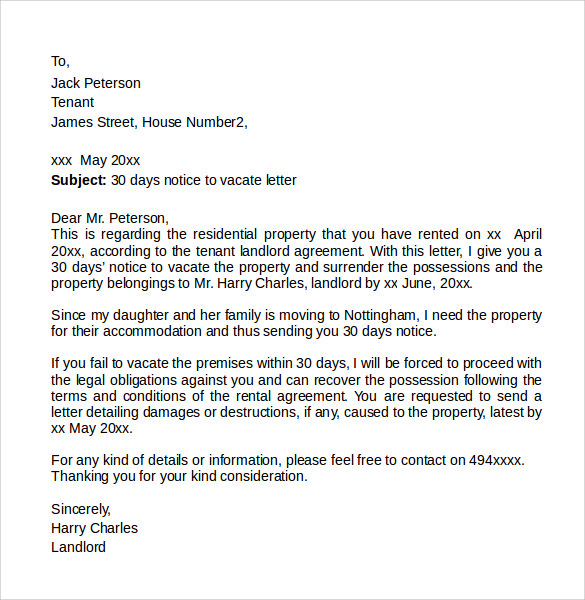 This letters needs to include points about the reason of vacating the place, security fund, number of days left for leaving the place and other important matters. 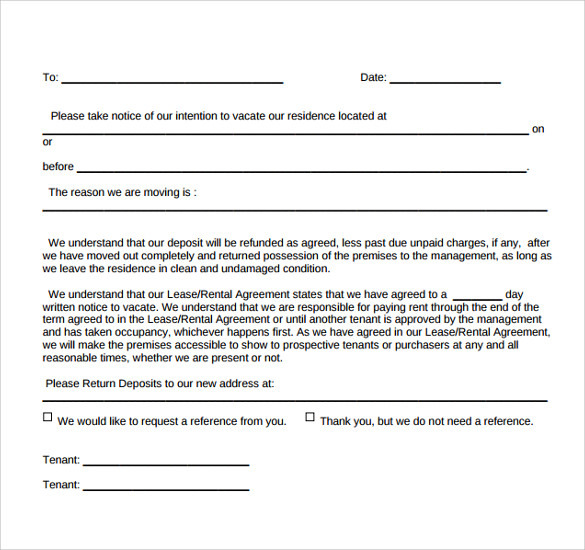 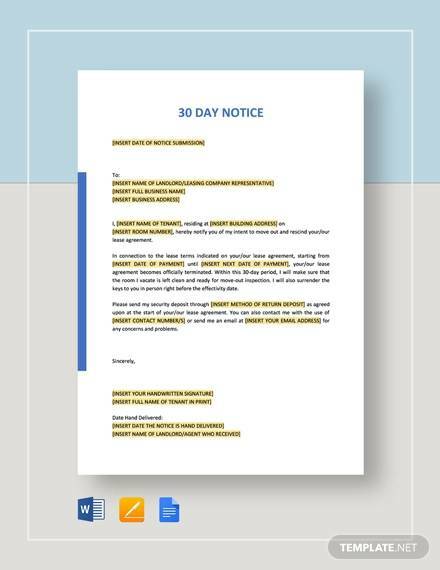 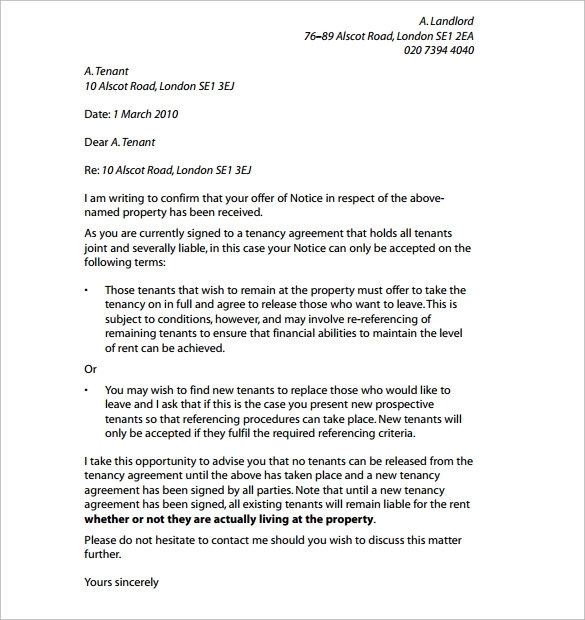 The notice to vacate letter we offer are simple, clear and customizable. 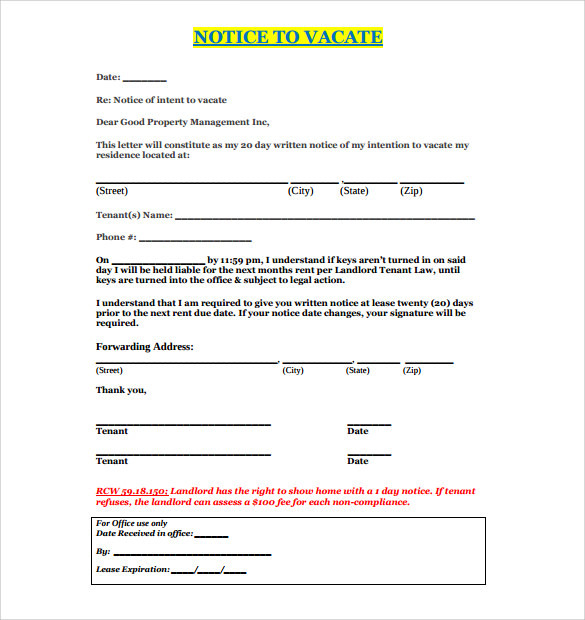 You need just to customize them as per need and add your own date.